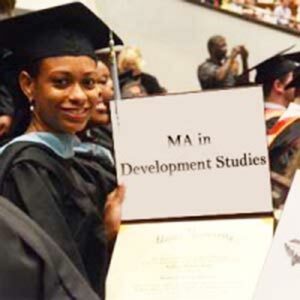 Master in Development Studies is a popular degree that will provide education to address various issues that occurs in developing world. This degree will provide theoretical knowledge and practical experience. This degree is awarded by Kathmandu University. In order to achieve the increasing complexity of development activities, KU started Masters in Development Studies as a part of its academic program. This degree is just two year course. This degree provides information and concepts related to development nationally and internationally. Students will be maintained with critical and practical thinking skills so as to perform development works and issues and to work under areas of development policies, research and practices. The main objectives of this degree is to make students understand the main and foremost development concepts and theories and to use their knowledge in the profession. This degree also give knowledge about developmental problems and their solutions. Students will learn through different lectures, seminars, fieldwork and internship. To perform development works and issues and to work under areas of development policies, research and practices. To make students understand the main and foremost development concepts and theories and to use their knowledge in the profession. To develop thinking skills of students critically and practically. To be concerned about all development plans and their arising problems and their solutions as well. To communicate and discuss about development plan, problems and solutions with peoples. Development specialists and analysts in different agencies.